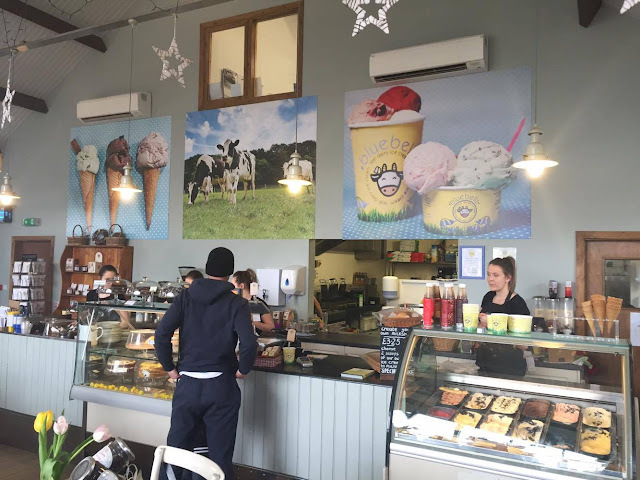 Bluebell Dairy Ice Cream & Farm Shop - Derby. 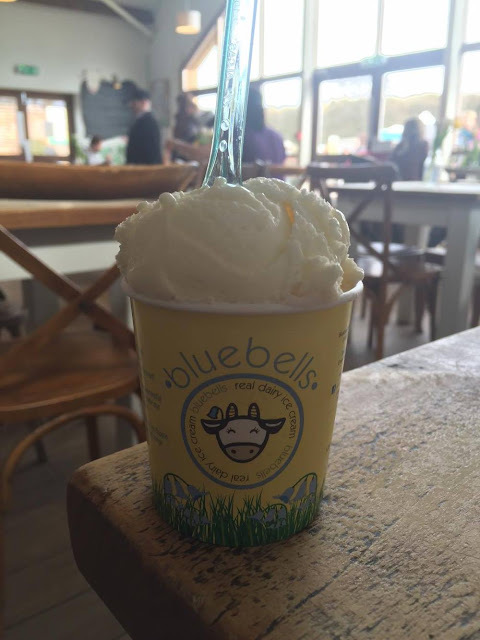 I've been a fan of Bluebells Ice Cream for quite some time now. They produce so many different flavours which all taste incredible. Me & Ashlea had some spare time so decided to pop over to the farm where the magic happens for a wander round. Luckily, it's only 10 minutes from his house, so didn't take us long to get there at all. After driving up the bumpy track road, you reach the farm. To say we visited quite late on in the day, I was surprised to see so many families still enjoying the outdoors. For the children, there's a play area and farmyard to walk through. You can buy bags of food to feed them with too which I was actually tempted to do myself! 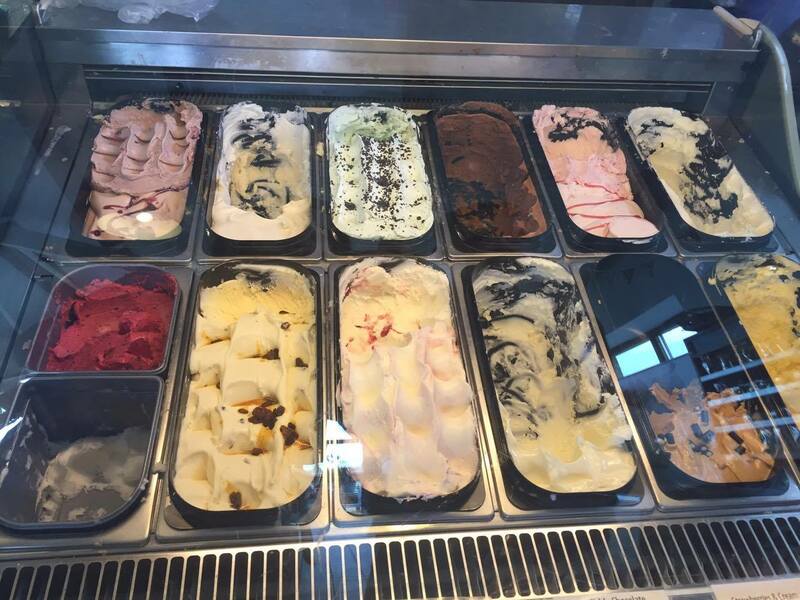 All we were bothered about though was getting our hand on some of their scoops of joy. 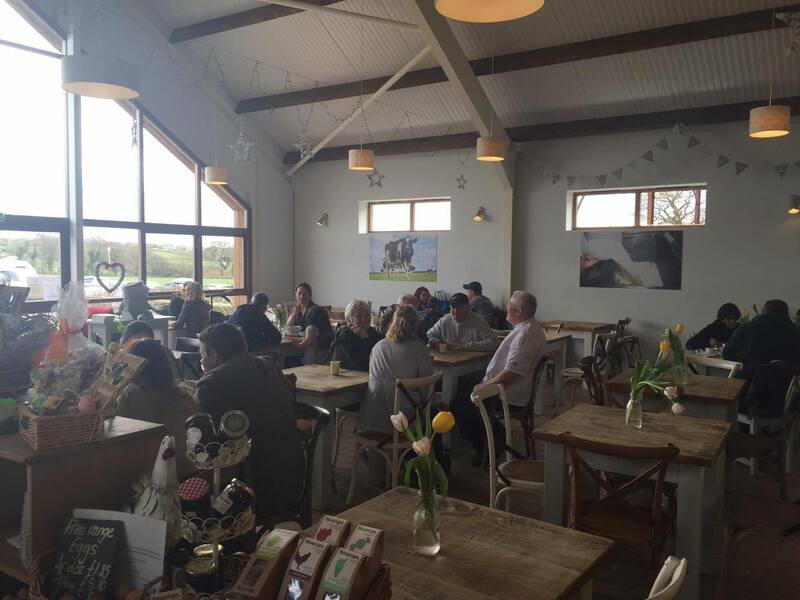 We headed into the cafe to see what was on offer today. It's a beautiful barn style building filled with wooden tables, fresh flowers and plenty of daylight beaming through those huge windows. 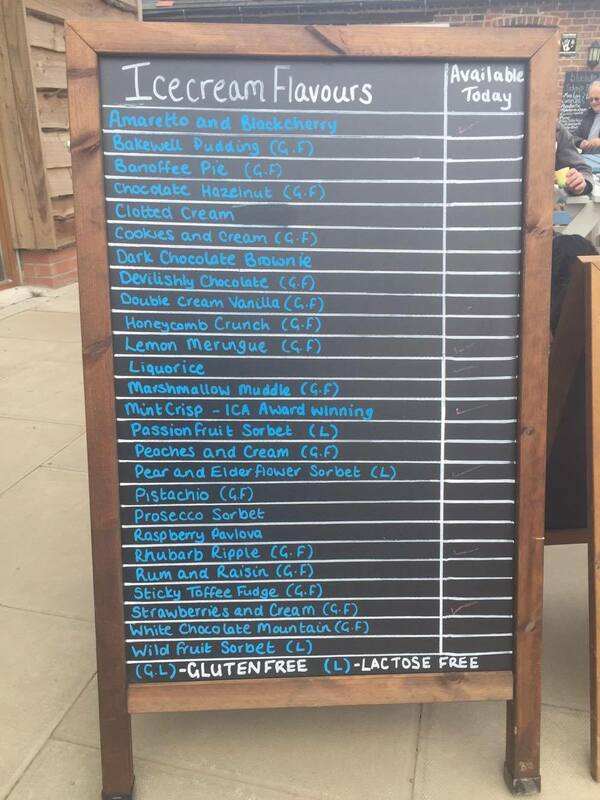 There was a good selection of flavours available to chose from, but nowhere near as many as they actually produce. I would have liked to have seen more of a variety but I understand that they can only serve as many as the freezer will hold! I'm just greedy! 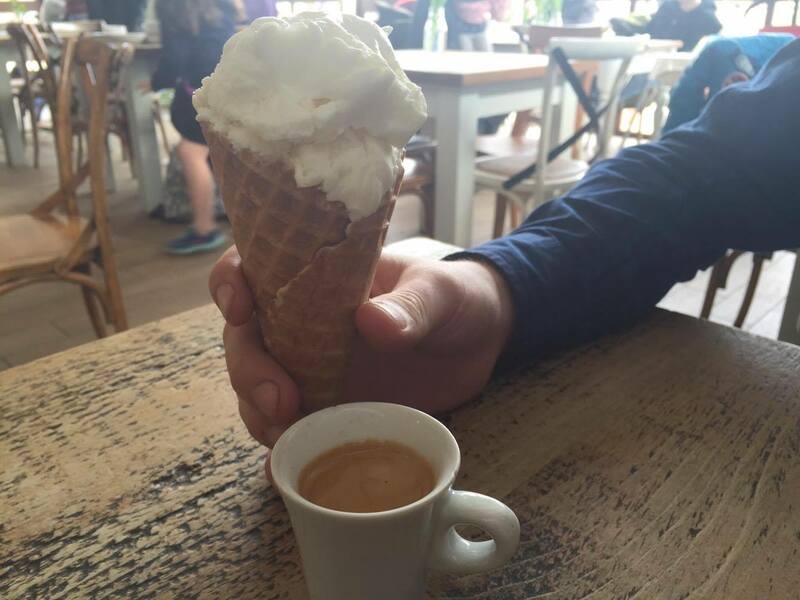 Ashlea went for a double scoop cone and an espresso, whilst I went for the same but in a tub. I was very tempted by a cone though as they use those crispy waffle style ones. Ooh yum. We both went for one scoop of Clotted Cream then Lemon Meringue for Ashlea, Strawberries & Cream for me. All flavours tasted amazing. The Clotted Cream was, well... Creamy! The Lemon Meringue had a real zingy tang to it with little pieces of meringue inside then the Strawberries and Cream tasted just like a fresh juicy strawberry. Very summery. As I've mentioned, I love the ice cream from Bluebells. Until visiting, I was under the impression that if you weren't being served it in a restaurant or getting it in a cone from the shop, you were screwed. But, they actually sell tubs of it in the farm shop - hooray! It's a shame we weren't heading home after our visit or I would have bought some, at least I know now though! 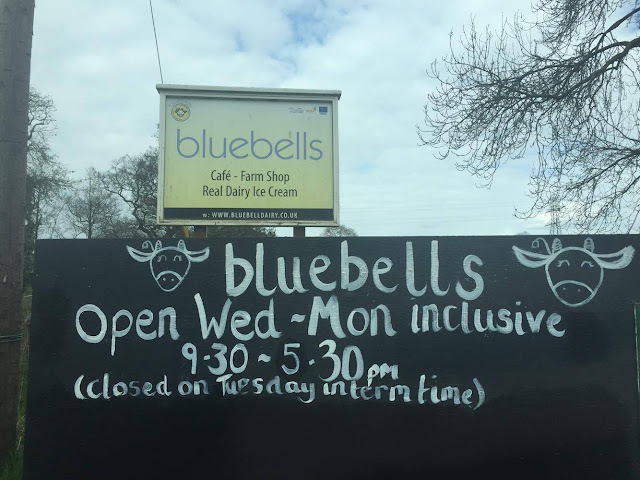 If you'd like to read more on Bluebell Dairy, take a look at a bio I wrote for them on The Great Food Club here.